MOEEBIUS project, with its core ideas, objectives and achievements, may be treated as a predecestor of HOLISDER. The project concept and it’s social dimension (Living Lab activities and operation in the pilot sites) may be also indicate as common value of both project’s performance. 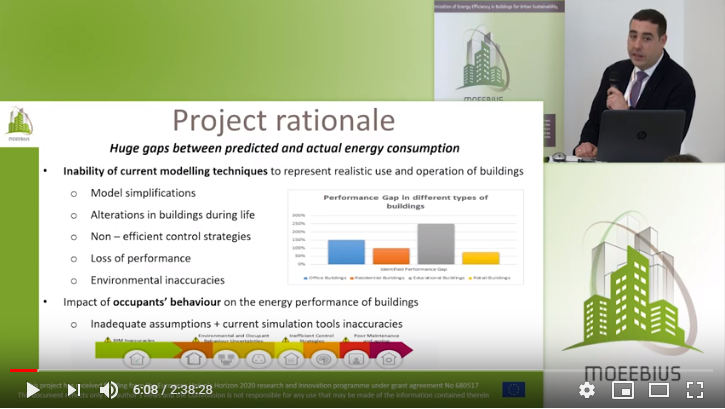 Therefore, to know more about MOEEBIUS in detail means also to know what’s the best ground of HOLISDER philosophy… This is the reason we suggest to watch the MOEEBIUS video which has been recorded during project’s final conference on 28th of February in Wels, Austria (in the framework of World Sustainable Energy Days 2019). The video footage covers all conference’s proceedings including respective articles on specific MOEEBIUS aspects presented by representatives of project consortium members. Eager to know more about MOEEBIUS ideas and HOLISDER roots in one? Don’t hesitate to watch this video!